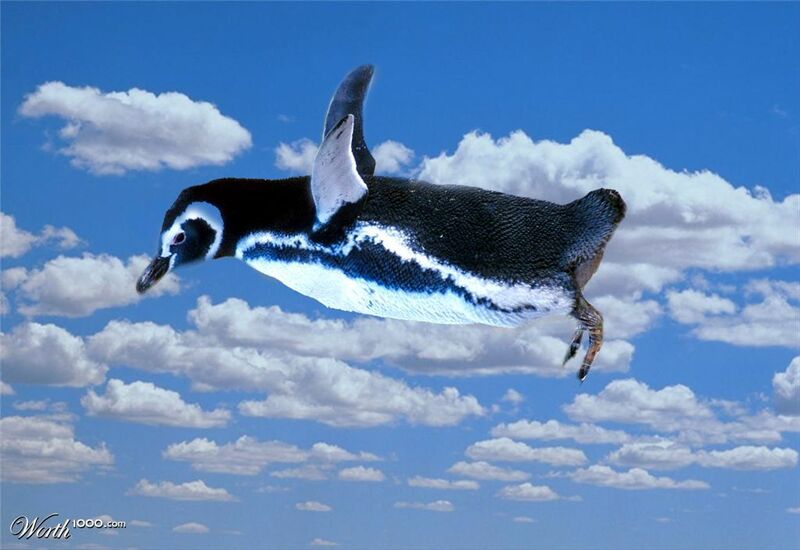 "All the penguins stood gaping as Eduardo claimed he would be the first penguin to fly." "There was a gaping sinkhole in the middle of the road! Of course I was late to work!" "early 13c., from an unrecorded Old English word or else from Old Norse gapa 'to open the mouth, gape,' common West Germanic (cf. Middle Dutch, Dutch gapen, German gaffen 'to gape, stare,' Swedish gapa, Danish gabe), from PIE *ghai- (see gap). As a noun, from 1530s."